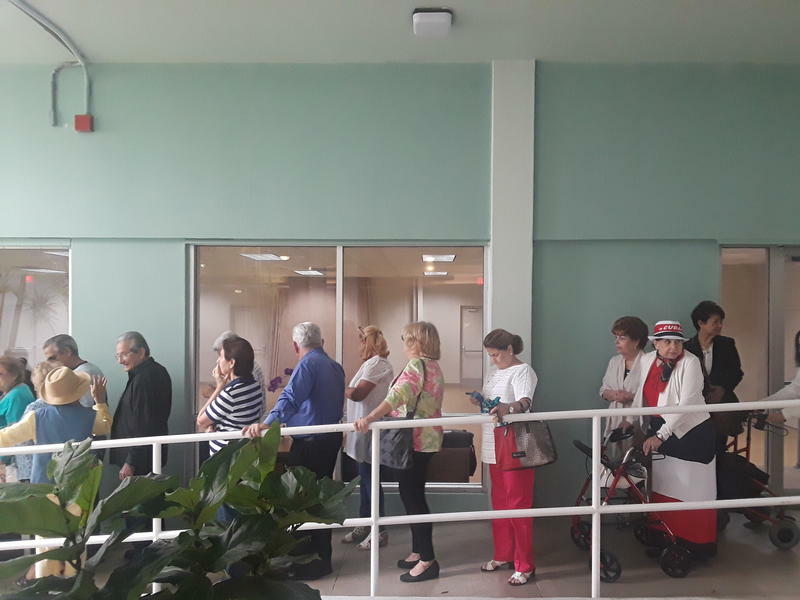 Residents waiting to go into the meeting at 1809 Brickell Avenue, in Miami. Developers gave an update of where things stand with the status of the building, where nearly 400 elderly residents fear they will be kicked out when federal affordable housing restrictions expire in September of 2019. The developers told residents that they have purchased another property where residents of George Humphrey Tower will have first priority. But the meeting rubbed some residents the wrong way, and there was no consensus on whether the announcement was good or bad news. "We came to listen to what they had to say but it was a struggle for them to want to listen to what we had to say," said Sherman Rattner, president of the tenant association. Representatives from the U.S. Department of Housing and Urban Development, the City of Miami, the development company Integra and building management company Elderly Housing Development and Operations Corporation were present. Once WLRN began asking residents for reactions to the meeting as they filed out, we were kicked off the property. Before that, a group of women residents who declined to give their names said they are hopeful that developers will help residents. The group argued that the building's tenant's association, which was just formed in February, is mounting a fight against developers when the two should be working together to help residents find permanent solutions. "They're pitting us against the property owners," said one woman. Another resident who declined to give her name had a different interpretation of events. Asked what she took away from the meeting as she walked out upset, she repeated "pa' la calle" several times: "to the street." Miami commissioner Ken Russell, who represents the building’s residents, posted live updates and a photo on Twitter showing the full meeting from the inside. Russell tweeted that Paolo Tavares de Melo, the building’s owner, had “purchased another property to create affordability,” and that current residents of George Humphrey Tower will have first priority for housing in that property. The residents would “need to requalify for tenant protection vouchers to relocate within the system,” he wrote. “Developer states they are seeking affordable funding from federal tax credits, Miami Forever Bond, Opportunity Zone incentives, Miami Dade surtax funding, & Federal Irma Relief funding for new construction in other parts of Miami for these residents,” he continued. If nothing else, the meeting "opened a door to communications that never existed before," said Rattner, the tenant association president. "This occasion marks the point in time where talk comes to an end and action has to begin. We have taken an important first step in that transition and I hope we can turn it into action." Some tenants said the future still looks bleak without a clearly outlined path forward written down on paper. "We're going to keep going forward without a place," said resident Jose Arguelles. "We don't know where we're going to be. We're pretty much where we started, but at least they brought the owners here to talk with us. I'm not very hopeful because how hopeful can you be when you know you're going to get kicked out?" Javier Vizoso knew that he was going to move to Miami at some point. But the one-two punch of Hurricanes Irma and Maria on the island of Puerto Rico last September accelerated his decision. When Richard Payne was campaigning for the Key West City Commission over the last few months, he kept hearing about one issue: affordable housing. It didn't surprise him. "I have four kids. Three of them don't live here, and that's because they couldn't afford to buy a home here and raise their family here. So basically, they've moved away," said Payne, who won a commission seat earlier this month. 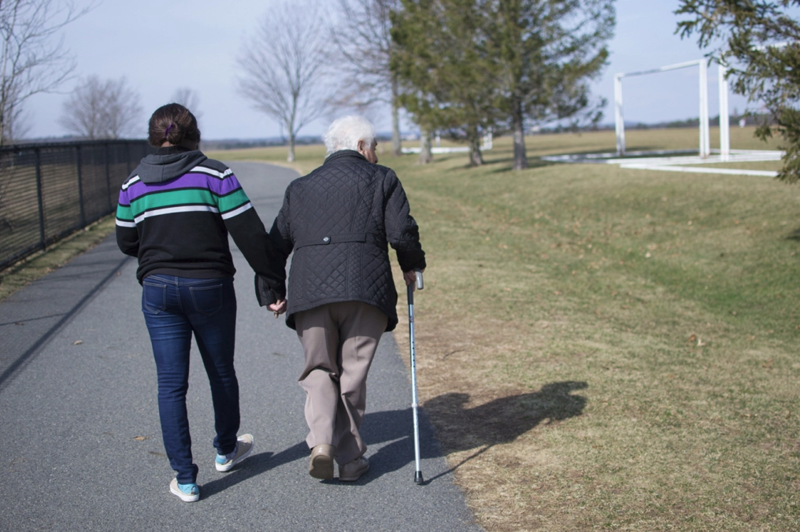 After back-to-back, eight-hour shifts at a chiropractor’s office and a rehab center, Nirva arrived outside an elderly woman’s house just in time to help her up the front steps. Nirva took the woman’s arm as she hoisted herself up, one step at a time, taking breaks to ease the pain in her hip. At the top, they stopped for a hug. “Hello, bella,” Nirva said, using the word for “beautiful” in Italian. “Hi, baby,” replied Isolina Dicenso, the 96-year-old woman she has helped care for for seven years. Is Gov. Scott's Affordable-Housing Proposal For The Keys A Fix Or A Problem? 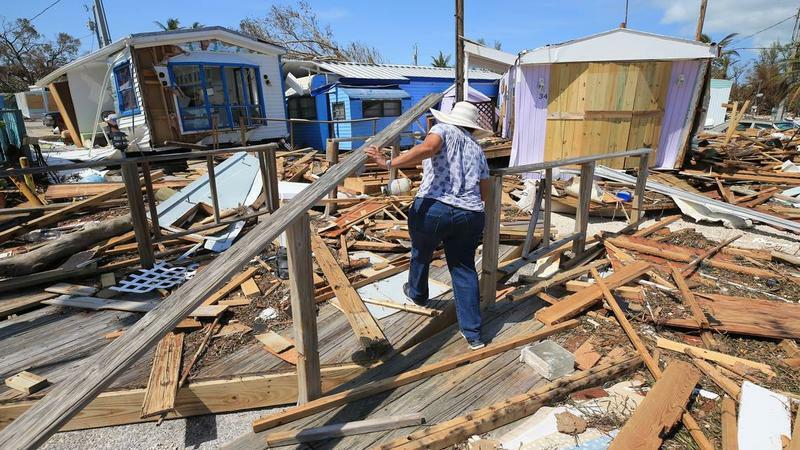 The state is preparing a 1,300-unit rescue to the affordable housing crisis that has gripped the Florida Keys but, to make it happen, it has had to bend some rules that planners say may only make the problem worse. 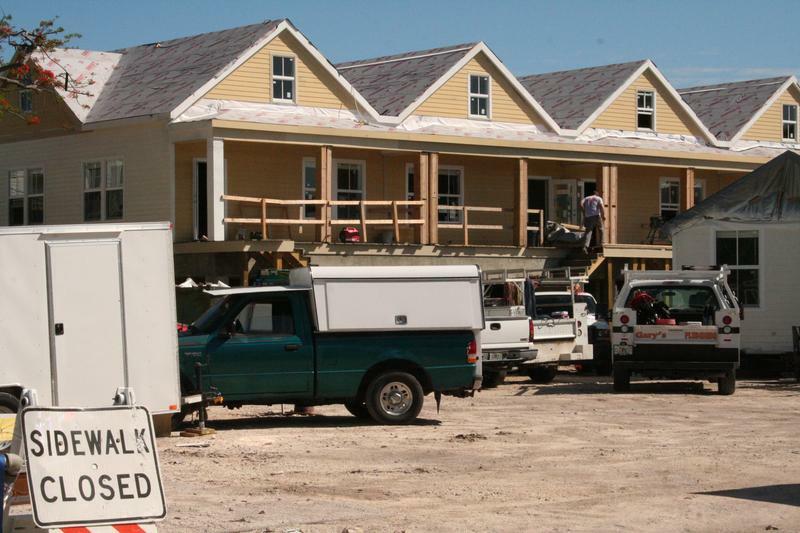 The governor and Cabinet are expected to hear a report Wednesday on a plan by the governor's Department of Economic Opportunity to allow the development of multi-family housing units for working people throughout the Keys.